Striped Bass fishing is fair to good. Schoolies are entering the tidal rivers and estuaries as water temperatures drop. Live eels on three-way or slider rigs have been effective on larger stripers. Bluefish fishing is good to excellent on the reefs, rip areas and lower tidal rivers. 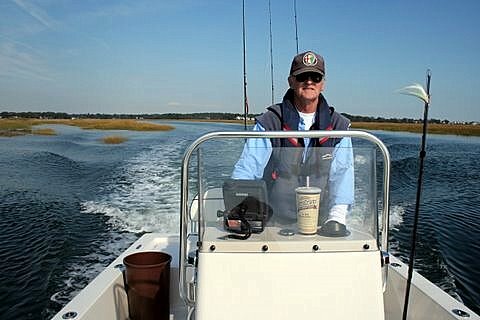 The usual fishing spots include the Watch Hill reefs, Ram Island Reef in Fishers Island Sound, lower Thames River, the Race, Sluiceway, Pigeon Rip, Plum Gut, outer Bartlett Reef, Black Point, the “humps’ south of Hatchett Reef, lower Connecticut River, Long Sand Shoal, Cornfield Point, Southwest Reef (outer), Sixmile Reef, Falkner Island area, the reefs off Branford, New Haven Harbor. Bluefish fishing is starting to slow down. Hickory Shad fishing is fair to good in the lower Connecticut River (DEEP Marine Headquarters fishing pier), Lieutenant River, and Black Hall River. Also, the Mystic and Niantic Rivers are spots worth trying. Porgy and Black Sea Bass fishing remains excellent on the local reefs and rock piles! Deeper water (80+ feet) is your better bet for “hump head” black sea bass. Blackfish fishing is fantastic throughout LIS! Shallow water (less than 30 ft) rocky reefs, rock piles, and wrecks have been producing great tog fishing action. As the water temperatures drop, tog will move off into deeper water. False Albacore and Bonito fishing is still happening off the Watch Hill area and from the Thames River mouth over to Race Rock, and Goshen Point over to Bartlett Reef and to Millstone Point.